When I tell people I travel for work they always say, “You’re so lucky!” Having a job that required travel was always a dream of mine, so when I heard that my current position would mean traveling several times a year I was ecstatic. Since working at this company I have traveled to Vegas, New York, Chicago, Denver, Seattle, and next month New Orleans. While I have loved getting to experience new cities and states, I have to say there are certain elements of traveling for work that can ware on you. Airport security is one element of travel that deflates my excitement bubble. The long lines, the need to remove practically everything you’re wearing, the pat downs in private places. Then there is the boarding process. I always have to remember to check in as soon as possible to ensure that my bag gets on the plane. One lost bag is all it takes to make you never want to check your luggage again. Since travel is such a big part of my life, taking trips on the weekends in addition to my continuous work trips, I have learned to pack lightly. 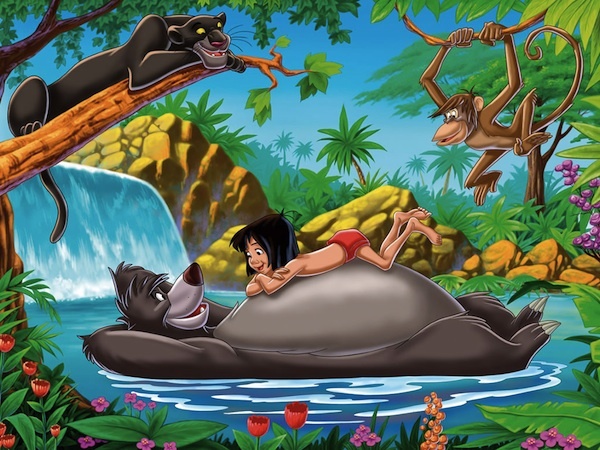 I titled this blog “Bare Necessities”, because I have learned to only pack only the things I absolutely need, things that have multiple uses, and items that meet airport regulations. It’s much easier to lift that big, and fit it in the overhead compartment of the plane if it’s light. Traveling light can be hard for women, what with all of our shoe options, but it’s a necessity when you travel frequently. While I can make use of hotel shampoo, my hair is too dry for hotel conditioner. My strands need moisture and protection, so I always pack a travel size conditioner. You can find travel sized conditioner at your local pharmacy like CVS or Walgreens. Many super markets also sell travel sized options. 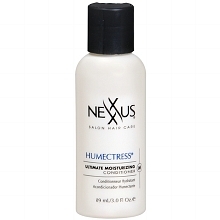 My favorite travel conditioner right now is Nexxus Humectress. This conditioner makes even my dry and brittle hair soft. You can purchase it here for $4.99. I have made the mistake of packing heels to conferences. I will take what is normally an incredibly comfortable pair of heels, knowing that I can last hours in them. Hours yes, days no. By the middle of the second day of a conference I am always wishing I had packed flats. Note that not all flats are more comfortable than heels. The wrong flat can be just as painful as your highest heel. It’s important to look for support in a flat, and to make sure it’s not fitting you tightly or rubbing against the skin of your feet. The last thing you need is a blister during a conference. My favorite pair of flats where actually purchased during a conference when I could stand my high heels no longer. I bought them for $99, but they are now on sale at Guess for $69. View them here. I like a pencil skirt just as much as the next girl, but packing all of those layers can take up space. Every conference going woman should have at least one conference dress. Sticking to basic colors will help you vary the look, and it won’t stand out enough to be remembered. If you like to stand out like me, pick a dress that can go from the office to dinner. Adding a blazer to a dress during the day can provide the professional look you’re looking for, while adding accessories and cute heels at night will dress up the look. Comfort is important as well. You should be able to travel in this dress, eat in the dress, and wear it for hours. There are plenty of places to purchase this type of dress, so it will depend on your personal style. Stores where you can find professional work attire include Ann Taylor where I found the dress pictured. You can get it here for $88. We often pay more attention to what we wear on the outside than on what’s underneath, but this could be a big mistake. Wearing the wrong bra can either create too much cleavage or create a painful situation. A bra that’s too tight can create creases and indentations. The same is true for the wrong pair of stockings. Have an outfit that shows off every little imperfection? Don’t forget to pack shape wear. Dress liners, tummy hiders, and other shape wear can help you feel confident in any outfit. You never know when you’ll experience bloating or the after effects of a heavy meal. I always pack my Hanes Shapewear just in case. You can find them at Target between $15 and $30. Before you pack for your next trip think about what items you really need. Pick items you can mix and match, items that you can wear day and night, and don’t pack too many pairs of high heels ladies! I’m not sure from your post if you travel carry-on only or not. If you don’t I would highly encourage you to try it. Once you’ve done it, you are so hooked by the freedom and ease. I think it is pretty easy once you learn how to create a mix and match capsule wardrobe that gives you lots of outfits. I’m a big fan of layering for warmth/extra outfits too.